Every year, SolarPowerRocks ranks each state based on how easy, or difficult, the state makes it for people to go solar on their homes. Congratulations Massachusetts for ranking #1 in the New Solar Rankings for 2019! This publication of rankings comes as fantastic news to the nearly seven million Bay Staters who have one of the highest utility power costs in the nation. Solar is just one more way that our residents can cut back those utility bills, despite the fact that there are fewer daily sun hours in Massachusetts, compared to other parts of the country. Let’s take a closer look at what this ranking means for our state and where we are headed in the future. 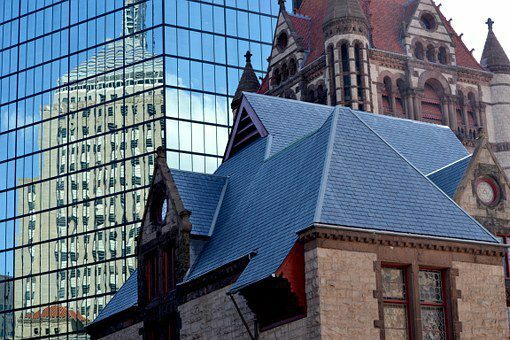 Massachusetts received an “A” on its overall ranking in part due to launching its newest solar incentive program – SMART. The Solar Massachusetts Renewable Target (SMART) program has been hailed as one of the smartest solar incentive programs in the nation. Launched in January 2017 to replace Massachusetts’ popular SREC II solar incentive program, SMART serves as the keystone for the state’s drive to shift to an economy and society fueled by clean, emission-free, renewable energy resources. With SMART, solar energy system owners receive a payment from the state for their solar production at a fixed rate per kilowatt-hour (kWh) of solar energy produced. The compensation, or “all-in rate,” that a system owner receives is calculated by subtracting the value of the energy (determined by electricity rates) from the total incentive amount. The new incentive program, as well as the new 3,200-megawatt solar carve-out, will provide stability to the solar industry in the state. In addition to ranking Massachusetts #1 with an overall average of “A,” SolarPowerRocks also examined aspects of solar energy such as Net Metering, State Solar Tax Credits, Solar Rebates, RPS (Renewable Portfolio Standard), Solar Carve-Out and Tax Exemptions. They also estimate that the average payback is six years. Visit their site to see the specifics of each ranking and see how neighboring states ranked. Massachusetts has much to be proud of when it comes to leading the way with solar energy. We encourage residents to research how solar power could help reduce or eliminate that monthly utility bill and help our environment to boot! Do you have thoughts of going solar? SunPower by BlueSel can help. Contact SunPower by BlueSel today at 781-281-8130, or visit our website today.